DiSC® Profile compared to Myers-Briggs Type Indicator. 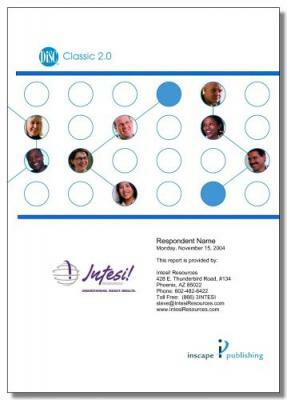 DiSC Classic 2.0 Profile and the Myers-Briggs Type Indicator are popular in business settings for the purpose of employee development and team building. Each has its origin in theories developed during the early decades of the twentieth century. DiSC Classic Profiles are based on the theories of Dr. William Marston while the Myers-Briggs Type Indicator is based on the theories of Dr. Carl Jung. The DiSC Classic Profile describes behavioral tendencies based on how people view themselves in the various environments. The Myers-Briggs Type Indicator describes how people approach the environment intellectually and attitudinally and how they process information. This entry was posted in Blog Categories, DiSC Profiles, The DiSC Model and tagged DiSC Behavior Model, DiSC Model, DiSC Profile, DiSC Profiles on 10/14/2010 by Steve Giles. Is there a “Best” or “Ideal” DiSC® Classic 2.0 Profile Pattern? Many people incorrectly assume there must be one best way of accomplishing tasks. For example, someone may ask, “What DiSC Classic 2.0 Profile Pattern should a manager have?” There is no one DiSC Classic Profile Pattern that is better for a manager than any other DiSC Classic Profile Pattern. Managers with different patterns may approach their managerial duties differently, and then may react differently to a particular situation or to an individual employee, but each may be just as effective as a manager. Success often has to do with a person’s motivation to succeed. Another factor that contributes to success is that people often modify their environment to suit the way they like to do things. A High “S” salesperson may focus on developing a sincere, trusting relationship with clients instead of going for the quick close. People’s success is not connected to having certain behavioral styles. Instead, people are effective if they know themselves, understand others, and can adapt to the needs of the situation. This entry was posted in DiSC Profiles, The DiSC Model and tagged DiSC Profile, DiSC Profiles on 09/14/2010 by Steve Giles. Can People Be Expected to Change Their DiSC® Profile Behavioral Styles? DiSC Profiles are not intended to encourage people to change their behavioral styles. Instead, it focuses on helping people identify their strengths and possible limitations. Also, pressure for radical change implies that someone’s Dimension of Behavior or DiSC Classical Profile Pattern (the way in which a person’s four dimensions of Dominance, Influence, Steadiness, and Conscientiousness combine creates a profile pattern that is different for each combination) is inadequate. Most people willingly accept the description of their behavioral styles and are eager to develop skills to make themselves more effective. DiSC Classic Profiles help us to understand ourselves and how our behavior affects others. We learn how to maximize what we do well, have a positive attitude about ourselves and, most importantly, know how to adapt our behavior to meet the needs of other people. Instead of being at each other, we can learn to successfully be with each other. We learn to give others what they need so that we can get what we want. DiSC profiles are not diagnostic tools, but dialog tools. Behavioral Styles identified in the DiSC Profile are always shown to be tendencies not fixed responses to situations. Our most popular online DiSC Profile is the DiSC Classic 2.0. This entry was posted in DiSC Profiles, The DiSC Model and tagged DiSC Behavior Model, DiSC Profile, DiSC Profiles on 09/03/2010 by Steve Giles. The DiSC Profile Dimensions of Behavior Model. The DiSC Dimensions of Behavior Model stresses that no Dimension of Behavior or DiSC Classic Profile Pattern is better than any other and that all individuals use all four Dimensions of Behavior in varying degrees. DiSC Profiles offer a self-assessment of an individual’s own behavioral style in a specific environment called a response focus. This means that an individual is assessing his or her behavioral style with a specific focus like work, a relationship, or social situation. The instrument is based on the respondent’s own perception of themselves without feedback from others. This self-report format has gained wide acceptance because of its face validity. The instrument provides them with feedback that describes their behavioral style in their selected focus. It is more difficult to say, “This is not me,” when the individual is the only one who has responded to the 28 forced-choice items, it is easier to reject the results when they are based on input from others. DiSC Classic Profile is self-scoring and provides immediate feedback. Many users say they find the Online DiSC Classic 2.0 Profile to be better packaged, more user-friendly, and more easily presented than other learning tools because of its self-scoring format, immediately usable interpretation, and Classical Profile Pattern interpretive information. This entry was posted in DiSC Profiles, The DiSC Model and tagged DiSC Behavior Model, DiSC Model, DiSC Profile, DiSC Profiles on 08/30/2010 by Steve Giles.